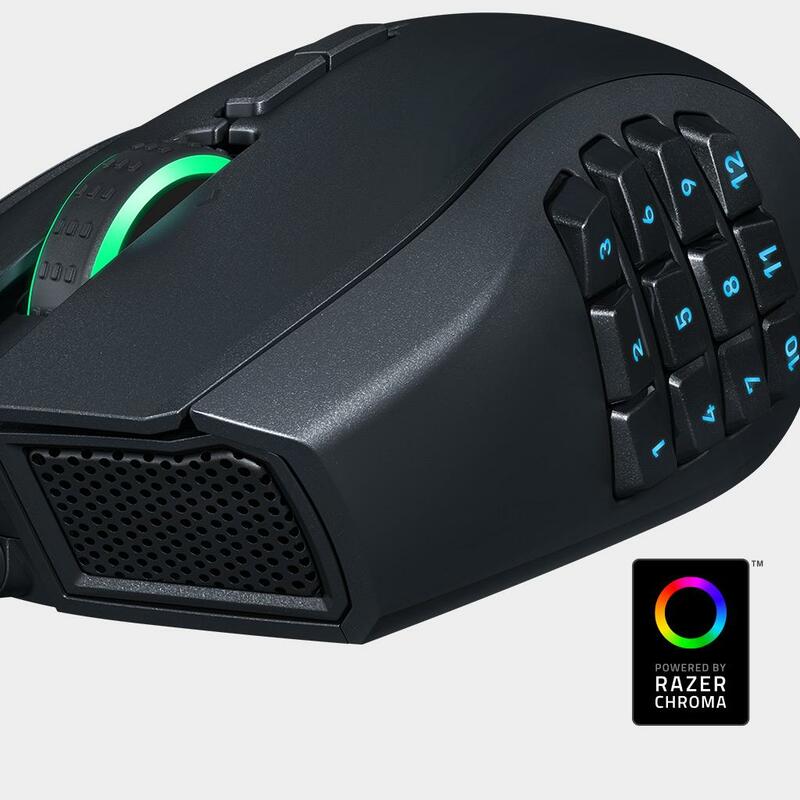 The Razer Naga Chroma multi-color MMO gaming mouse makes late night raids, intense guild battles, and exciting dungeon crawling even more fun for MMO gamers. 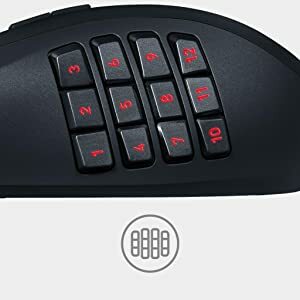 It comes with 12 mechanical thumb-grid buttons for faster in-game actuations and assured tactile feedback. The concave button design also allows for blind-find so you stay focused on the game, letting your instincts lead you to victory. 12 mechanical thumb grid buttons. 16.8 million color lighting options. 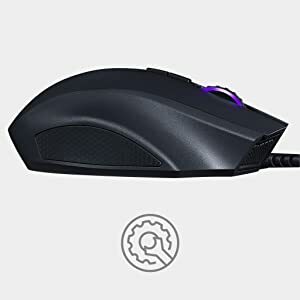 The world's most precise gaming mouse sensor with 16,000 DPI. The thumb grid’s buttons have a concave shape to allow each button to stand out individually. This allows for blind-find so you stay focused on the game, letting your instincts and reflexes lead you to victory. 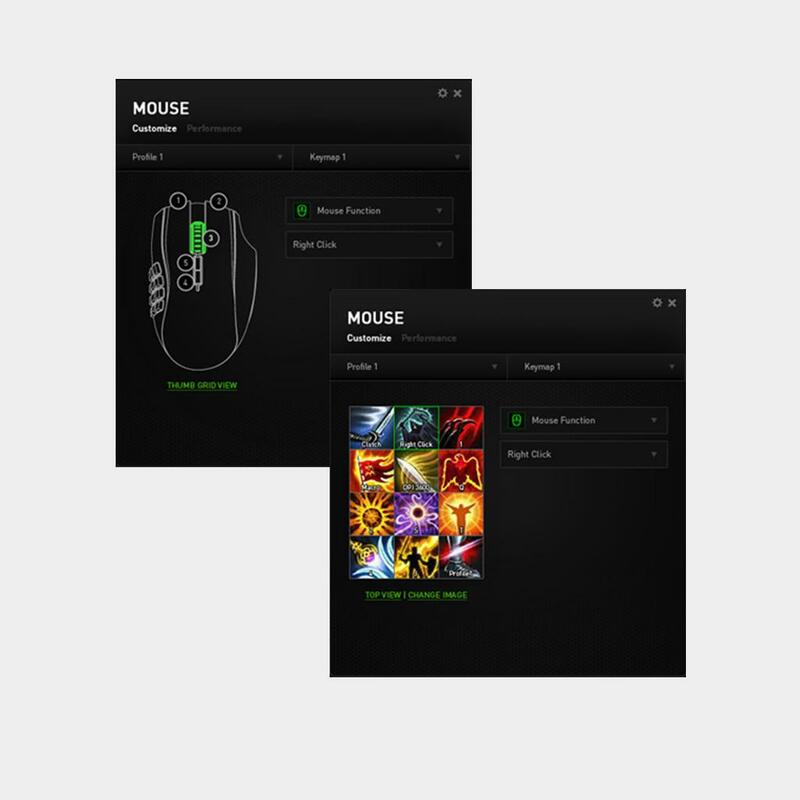 Introducing the most intuitive mouse configurator you’ll ever need for MMO gaming. 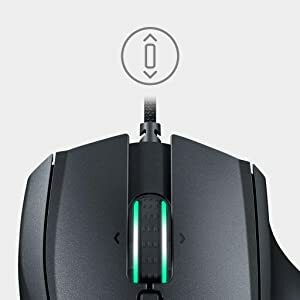 Customize each and every button on the Razer Naga Chroma to your personal skillset, macros and hotkeys right from within the game via a non-intrusive overlay. The thumb grid can be visually displayed with icons right from your favorite MMO so you’ll know exactly what button to hit at all times. 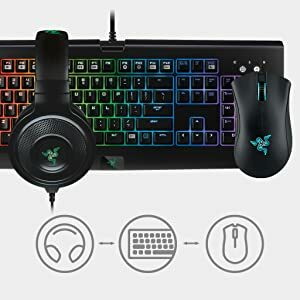 With Razer Chroma customizable lighting for both the scroll wheel and thumb grid, you can choose from an impressive spectrum of colors to personalize your Razer Naga Chroma. As each region is controlled independently via Razer Synapse, you can make this truly unique mouse distinctly yours.